Dancing through the shadows of unforgiven dreams. by Aydan Dunnigan, MASTER OF DIVINITY. 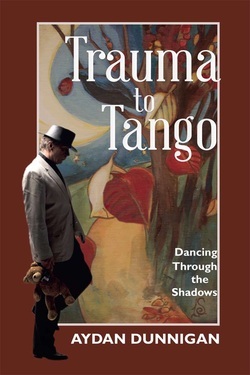 Haunted by ghosts of the recent and distant past, the author abandons his faith, his marriage and his career as a pastor and heads off to the tango salons of Buenos Aires. He is compelled by the irrational hope that immersing himself in this seamy, sensual dance will transform his inner turmoil into something of elegance and beauty and passion. This story offers the reader a richly textured exploration of the impact of childhood trauma on the psyche and the intense inner work required to restore the soul’s lost dignity. Often comic, at times tragic, this memoir will inspire you to risk it all on the courageous but transformational path of inner healing. It might even inspire you to put on your dancing shoes.